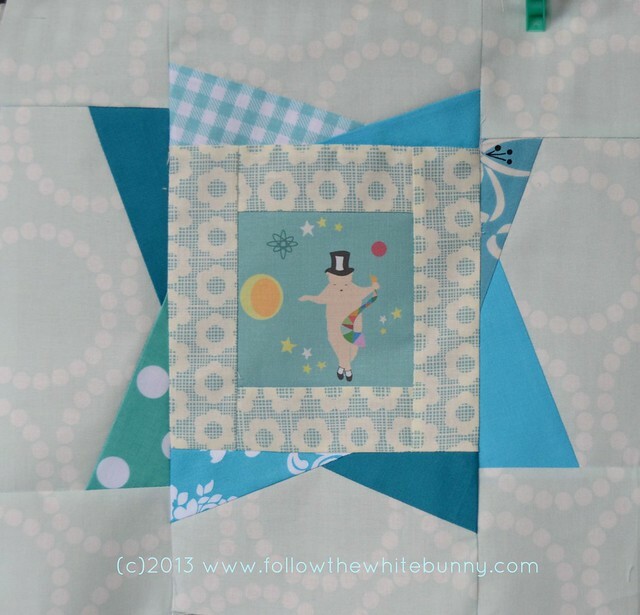 I don't often blog about the quilt blocks I make for the Quilt Bee I'm in. Sometimes I struggle a bit with getting the blocks done in time and often I'm in such a hurry to send them off (as I am a s-l-o-w bee) that I don't even make time to makes photos of the blocks I made. Anyway I was so pleased with the block I made today that I thought I'd share it here. This month Elisabeth gave us free reign with our blocks. We can send her any quilt block in any size, we just need to do them all in a blue/teal and white or cream colour scheme. I took the fabric I had designed earlier this year as starting point. 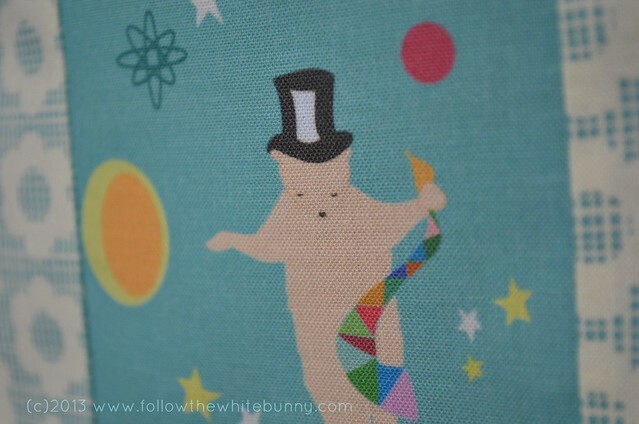 On the Bijou Lovely blog I found the perfect block for my Tap dancing Polar Bear. It was simply called Wonky Star but I'm calling it Wonky Supernova! :) There isn't really a tutorial for this block but it was simple enough to figure out how to make one. I know 'wonky' blocks are not for everyone but I had fun sewing this block which requires very little measuring and looks great finished. It's so cute! Makes me want to try making a quilt. 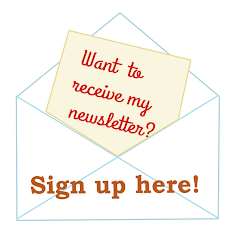 oh you should definitely give it a try! I love this block so much and feel very honoured that you used some of your fabric for my block. Thank you so much!